C# is a multi-paradigm programming language. It is developed by Microsoft. 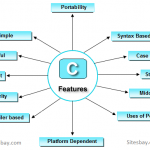 C# includes functional, procedural, declarative, generic, component –oriented, object-oriented programming disciplines. It is one of the programming languages designed for Common Language Infrastructure. C# is a simple object-oriented programming language. To Learn C#.NET Demo Click Here! Syntax of C# language is highly expressive and it is very easy to learn for the beginners. One can easily learn it if he has knowledge in C, C++ or Java. C# has some powerful features like enumerations, delegates, direct memory access and lamda expressions. 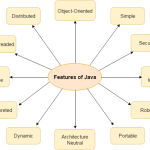 Some of these features are not available in Java. Generic methods and types of C# language provide more security and increased performance. Iterators enable implementers of Collection classes. It is used to define custom iteration behaviors which are very simple to use. As an object-oriented language C# is also supporting inheritance, encapsulation and polymorphism. C# runs on the .NET framework. It includes CLR (Common Language Runtime). It is a virtual execution system. Source code written in C# is compiled into an intermediate language (IL) that follows to the CLI specification. The IL code and resources are stored on disk in an executable file called an assembly, with an extension of .exe or .dll. An assembly contains a manifest that provides information about the assembly’s types, version, culture, and security requirements. BigClasses is one of the best online training organizations offer C#.NET training. We have qualified and experienced faculties who are responsible for taking the online sessions. We provide study materials and 24 hours support to our national and international learners as well. 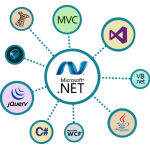 If you are interested inC#.NET online training, contact us for the detailed course and the free demo classes.